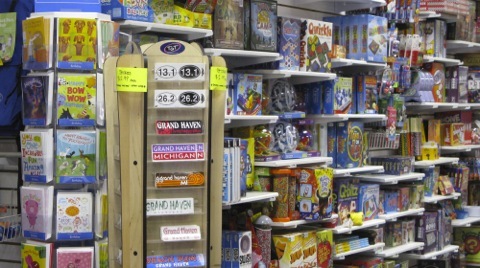 Grand Haven visitors and residents alike know just where to go for top quality toys and kites. 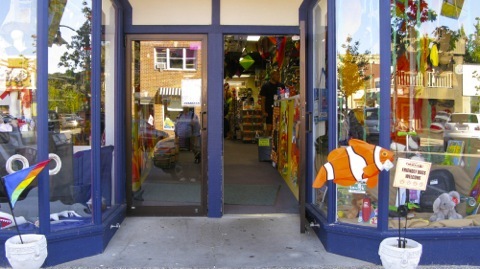 Mackinaw Kites and Toys has been a year round shopper's favorite since 1986. 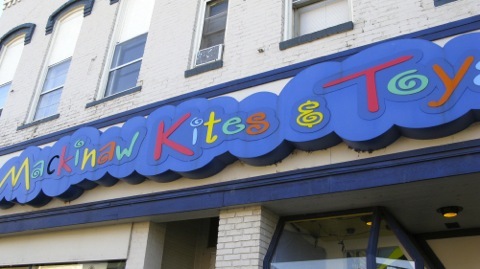 The first Mackinaw Kites opened five years earlier in Traverse City, which makes it one of the oldest kite stores in the world. 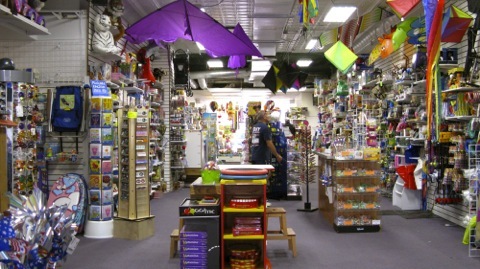 In Grand Haven, the store was such a success that it moved to a larger location in 1997 where it officially became known as one of the world's largest kite stores. However you don't have to be a kite aficionado to enjoy your visit. 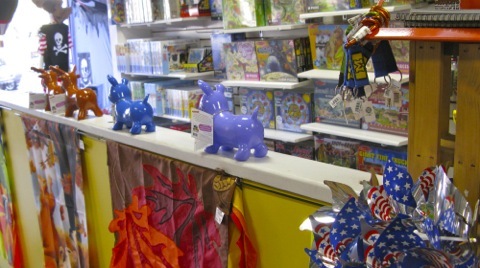 Grand Haven's Washington Street store also offers a wide selection of toys, puzzles and banners. 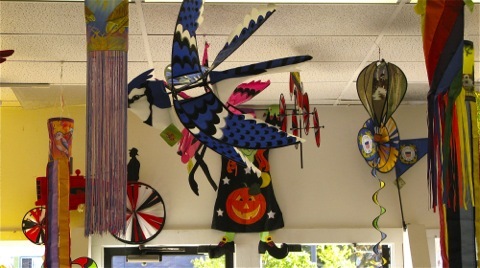 Banners, windsocks and kites greet visitors as soon as they walk through the front door, but be prepared to take some time to explore the store's colorful selection of toys and games for all ages. Whether you fly kites for fun or as a competitive sport, there is no better place to shop for kites along the west Michigan coast. 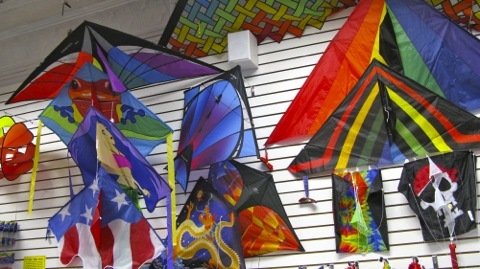 The store also hosts several annual kite flying festivals, thanks largely to the close proximity of Grand Haven's beaches, a kite flyers dream. 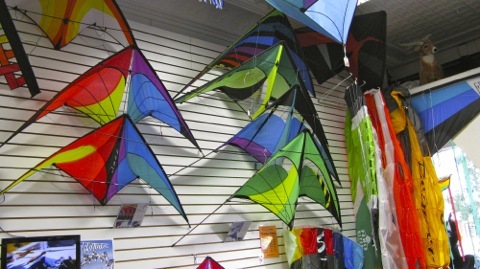 Mackinaw Kites and Toys also expanded their product line to include kiteboarding gear. 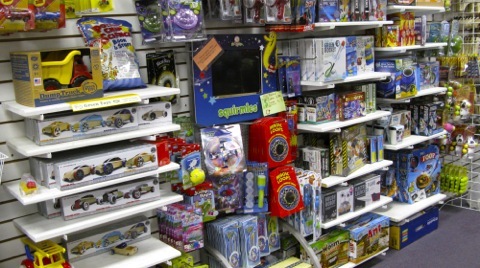 Browse shelves stocked with everything from beach volleyballs, wooden trains, yo-yos, educational and green toys, and a baby bowling set. And for kids who like to eat their marshmallows as well as fling them at friends with a slingshot, Mackinaw Kites and Toys also sells mini marshmallow shooters. Trying to come up with the perfect holiday or birthday gift? 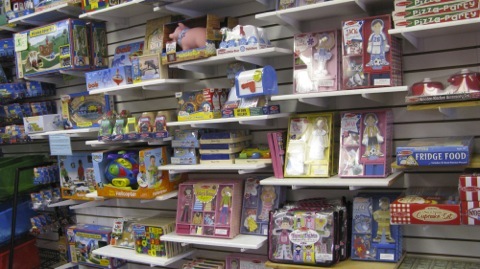 You'll find items at Mackinaw Kites and Toys not available at the local mall. And before you leave, don't forget to satisfy your sweet tooth with the store's candy selection. 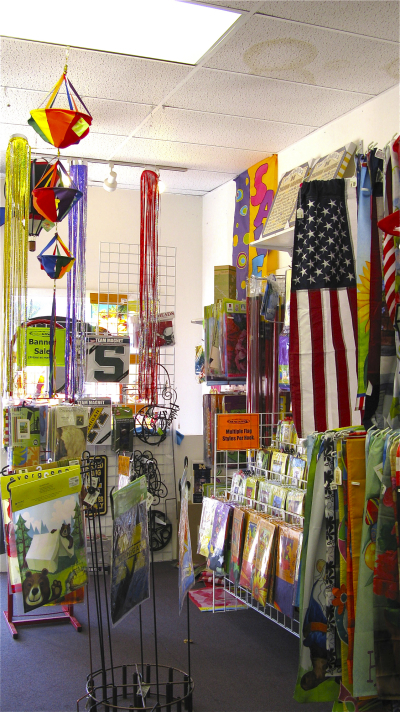 Whether you're looking for a championship kite, the latest novelty toy or a windwheel to enhance your outdoor decor, a visit to Mackinaw Kites and Toys is sure to be placed high on your Grand Haven shopping itinerary. If you don't live in the area, don't forget to check out their website for online shopping.